This product is expected to ship on Wednesday, April 24 if you place your order within the next 11 hours and 47 minutes. 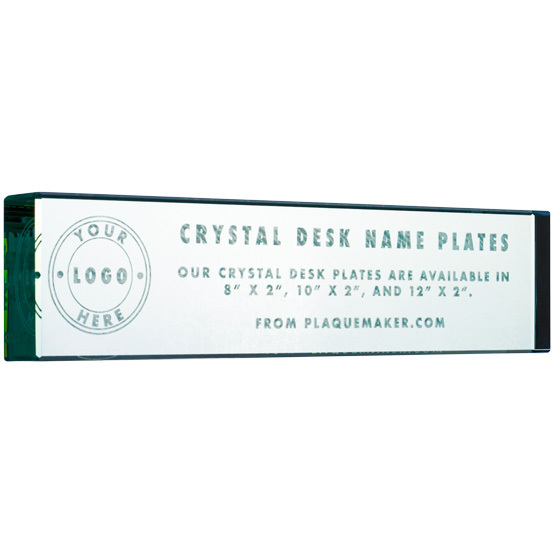 Set a professional tone in offices with these glass desk name plates. 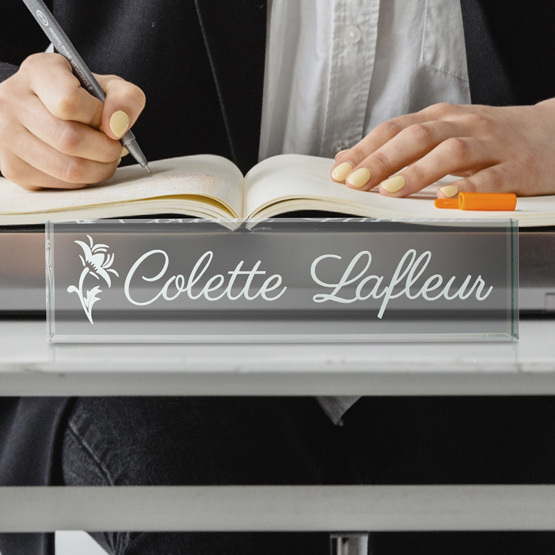 The rectangular glass is available in different sizes to fit your workstations, and it's engraved to create a frosted lettering or a frosted image for a professional appearance. 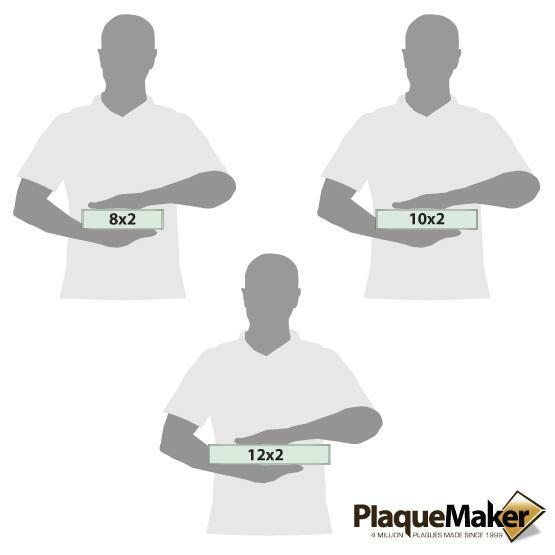 Color printing is also available to boldly announce employee names or your company's mission statement. Easy to design. Easy to order. Great website. I particularly appreciated the proof provided in advance of my final order. And all delivered as promised and in a very nice presentation box. Nicely done! I’ll be back. The name plate turned out better than I expected. Thank you for being prompt and doing such a wonderful job!